The 2018 Philadelphia Phillies have come a long way in one year. This young and upcoming club is full of potential stars. Ace pitcher Aaron Nola has finally become the stud we all hoped he could be and Rhys Hoskins is proving last year was no fluke. There is a lot to be excited about this season into next. Be a part of the growth and excitement that Phillies baseball has to offer! The Phillies have been in Philadelphia's Citizen's Bank Park since April 2004. Citizen's Bank Park is a gorgeous ball park loved by all Phillies fans and contains 43,647 seats. There are few things more enjoyable to do during the Summer time than to get tickets and take the family to a Philadelphia Phillies Baseball Game. The smell of the grass, the crack of the bat - memories come flooding back from the baseball games of childhood. The Philadelphia Phillies are part of your history and your heritage. Getting your Philadelphia Phillies tickets and then attending a Phillies game with your kids gives them a chance to forge the same feelings and memories that you did all of those years ago. Get Philadelphia Phillies season tickets and enjoy the games all summer long. 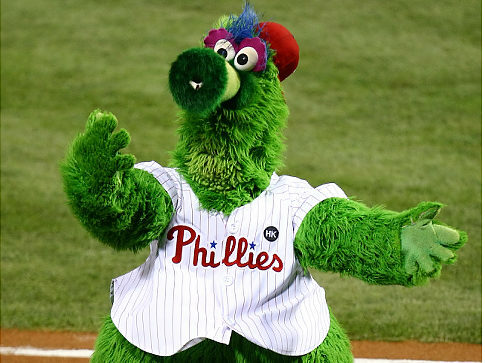 The baseball season lasts from April to September, that's 162 Philadelphia Phillies games! Stay in the know with our updated list of available Philadelphia Phillies tickets. Citizens Bank Park has been designed from the ground up to deliver the ultimate baseball experience for Philadelphia Phillies ticket holders. The first thing to notice would be the amazing sightlines from every seat, but there is so much more from this baseball only stadium. You can see the pitchers warming up in the bi-level bullpen in the out field. From there, a visit to Ashburn Alley will satisfy your hunger for any one of the dozens of available food vendors. From the warm brick facade to the new high tech high definition scoreboard, Citizens Bank Baseball Park is a marvel just waiting for you discover. Get your Philadelphia Phillies tickets today.